As we embark on a new year, it seems appropriate to build this year’s dreams upon the foundations laid in year’s past. With the youth at Cross and Crown, Luke and I have done just that. We each thought and prayed over the holidays and have come back eager to share our ideas with each other. As we surveyed what each week looked like with youth in 2010, we have found some great things that will remain and some areas we’d like to see more growth and improvement. These factors have helped tweak our weekly schedule a bit. The main question we ask is, “What do we see God blessing?” An area of very apparent growth is in our middle school kids, particularly students at Astec Charter School. Just by shear number and regular attendance, they have come on radar as a group ready for a more intentional life skills and spiritual development time. So for the Spring semester we are going to target these kids with an added lunch devotional time at a fast food place near campus on Wednesdays. What better way to hook a teenager than using free lunch as bait! Here’s where you come in. If we break the financial calculator out, it doesn’t take hitting the plus sign too many times to know that we need your financial partnership. 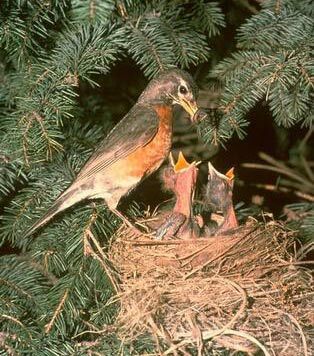 We are seeking individuals or groups that would like to adopt a Month of Mouths and become the mother bird providing food for the nest. We are starting out with a goal of $60 a week. To sponsor a Month of Mouths would then take $240 dollars. We will be running this devotional lunch January-May. We need 5 sponsors to adopt a month to make this dream reality. This is a very significant opportunity to directly impact 10 students for 5 months! If you would like more information, or would like to know how to donate, please contact either Luke or Ron by clicking the staff page and emailing us. Over the next few days, we are going to share 3 or 4 immediate opportunities, just like this one, to become either financially or physically involved with our youth this semester. So keep checking back in.